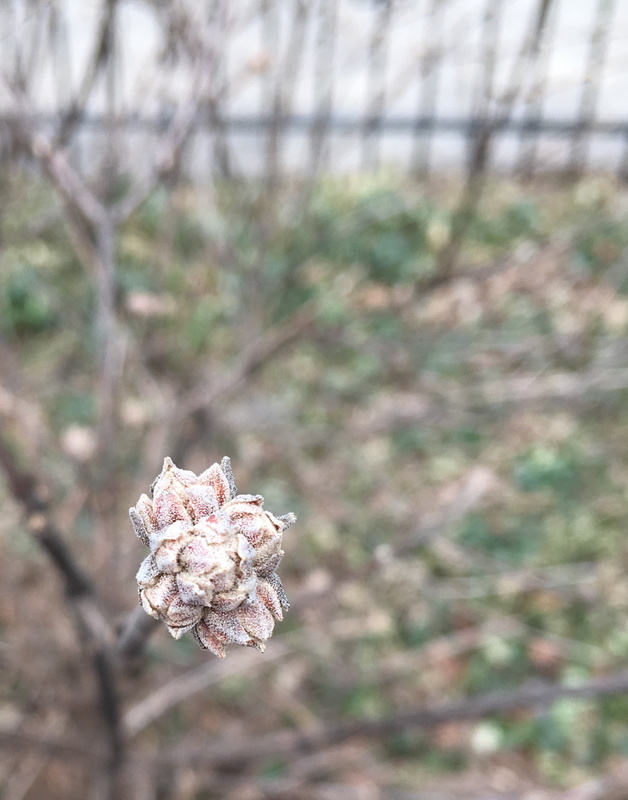 March is a tough time for a Chicago gardener. One minute it’s warm and sunny; the next there’s a snowstorm (we’re having one right now). There’s the desire to get out there and dig already (too soon!) set right up against the desire to hide under the covers for another two months. But this is actually a great time to be in your garden. 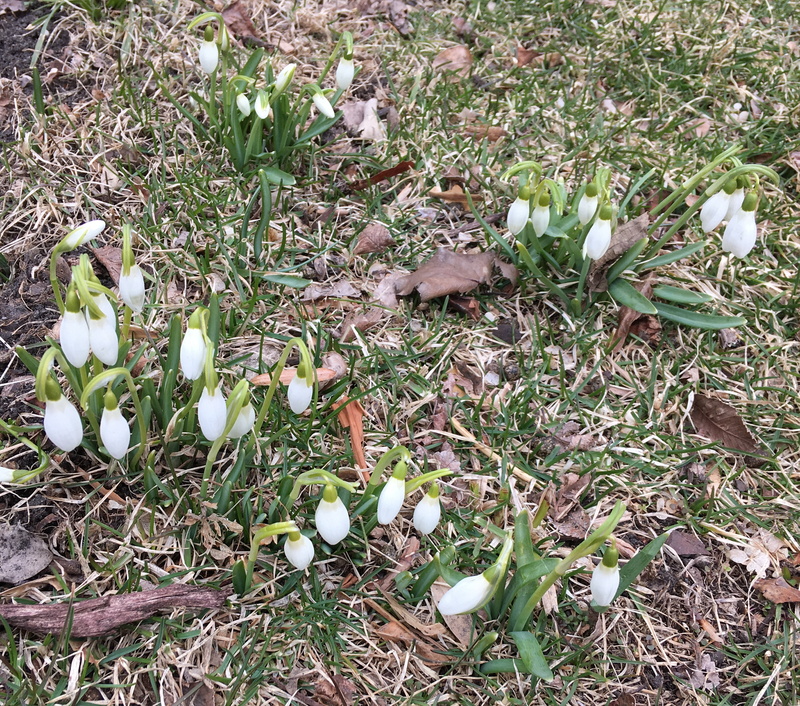 You might do a little raking back of protective leaf mulch (or you might wait until April, if you don’t have tiny snowdrops to uncover). You can prune some shrubs (and if you layer the pruned branches underneath, that’ll provide a little cover for beneficial insects and butterflies). Mostly, though, it’s a time to observe and plan — the heavy labor will come later, don’t worry! There’ll be plenty of time for doing. 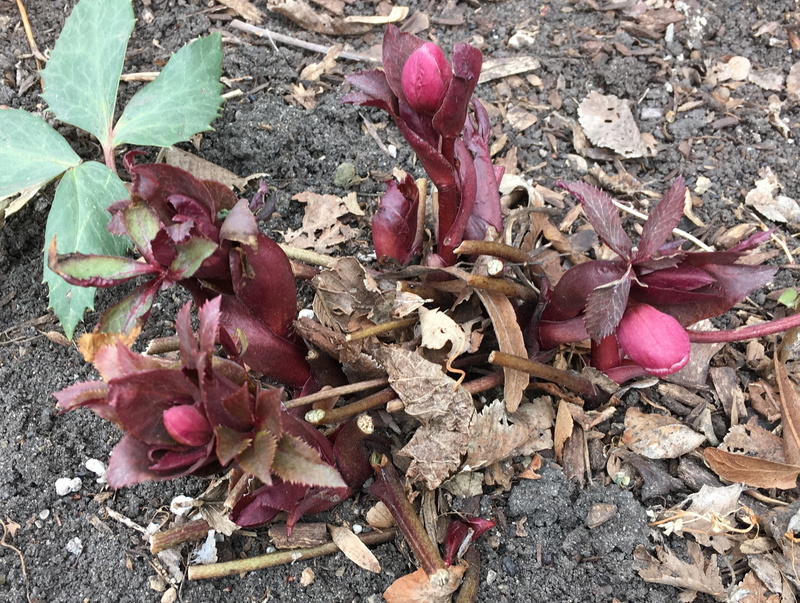 Note where the hellebores are unfurling their thick buds and leaves, and think about whether you might want to add another one or two for next year. 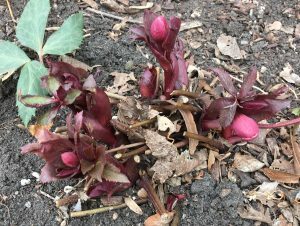 Pay attention to where there are gaps in the garden, places you might add spring-planted, summer-blooming bulbs like cannas, gladioli, and lilies. Don’t forget the dahlia tubers to brighten your autumn! Enjoy the budding viburnum; you might even brush your fingers against tightly-furled buds on forsythia, cherries, peaches. 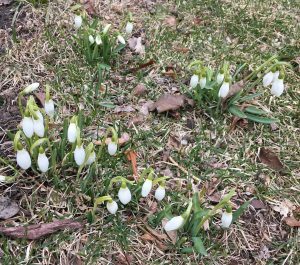 Consider the snowdrops — the ones on bare dirt are dramatic and the ones on grass are barely visible, but resist the urge to move the latter. Soon the grass will green up, and the white of the snowdrops will contrast beautifully. Instead, just make a mental note for where you might want to add more snowdrops for next March. Also, are there some close enough to the sidewalk for the neighbors to notice as they walk to work in the morning? Maybe you will move a few of those closer to, once they’re done blooming for the season, so next spring will be just a little cheerier for the whole neighborhood. I read somewhere once that the best thing for a garden are the steps of the gardener. I think that’s true — just remember to stay on the path in the March garden, so you don’t compact the soil too much. Walk in potential. Dream a little.